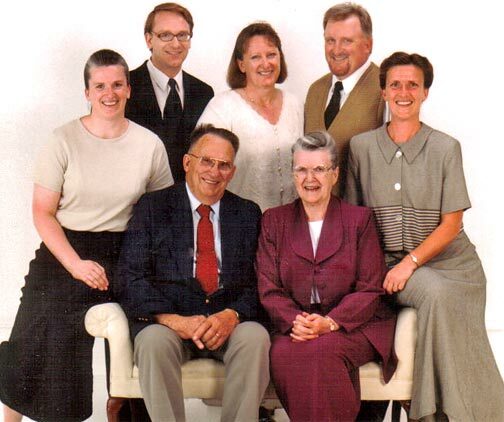 Front: Don & Dorothy Anderson; clockwise from upper left: Marlene Johnson, Douglas Anderson-Jordet, Donna Johnson, Don "Donnie" Anderson, Jr., Patty Henderson. 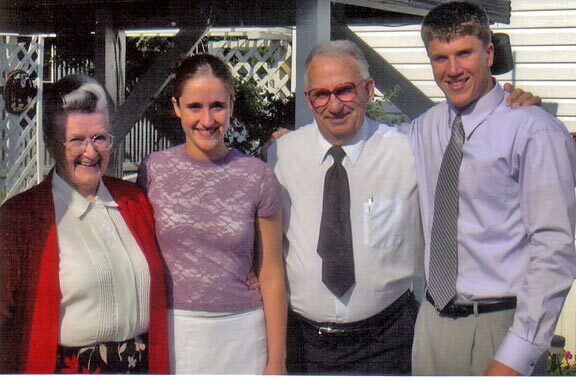 "Grandma" Dorothy (Dake) Anderson, with "Grandpa" Don, and two of our 15 grandchildren, Rachel & Ben Henderson. Ben extended our extended family even further on November 26, 2004, with his wedding to Heather Overby (See Bulletin 130) and the birth of their son, Mason Taylor Henderson (See Bulletin 198). Dorothy & Don at our joint birthday party (see Bulletin 94). 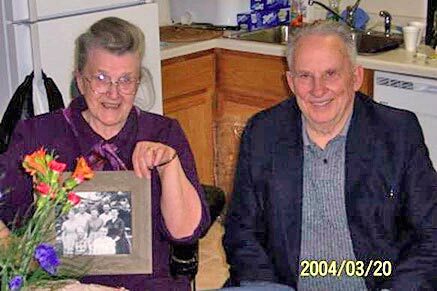 We have been married for 57 years. We have five children, 15 grandchildren and, at last count, eight great grandchildren. Our extended family ranges from Florida to Alaska and overseas. 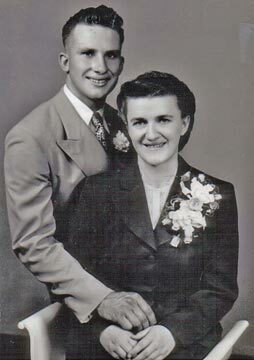 Click here for links to the rest of Don's & Dorothy's family.